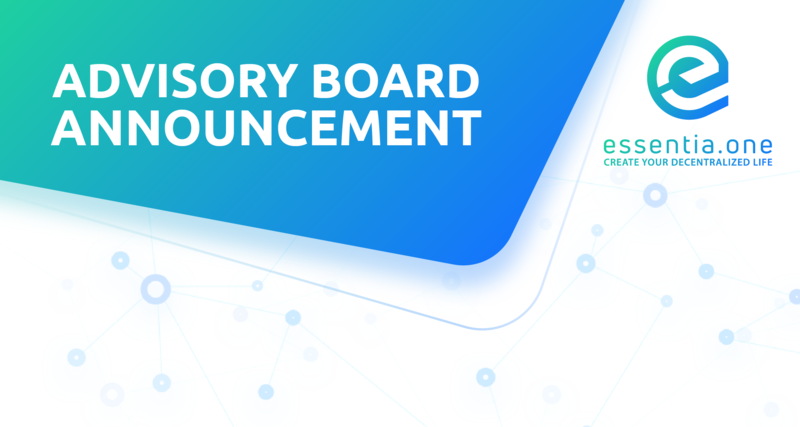 We’re pleased to announce that another advisor has joined the Essentia team with immediate effect. We’d like to welcome Erik van der Staak and Francesco Fusetti into the fold and we look forward to benefiting from their wisdom and all-round expertise. As we gear up for our crowdsale and prepare to launch the Essentia decentralized framework, this duo of talented advisors will keep us right every step of the way. As an advisor to the European Commission and a startup coach, Erik has a pedigree that speaks for itself. It also helps that he’s as passionate about cryptocurrencies as we are. After mastering his craft in the Netherlands, Erik’s gone on to accrue an impeccable reputation as a senior marketer and business coach. 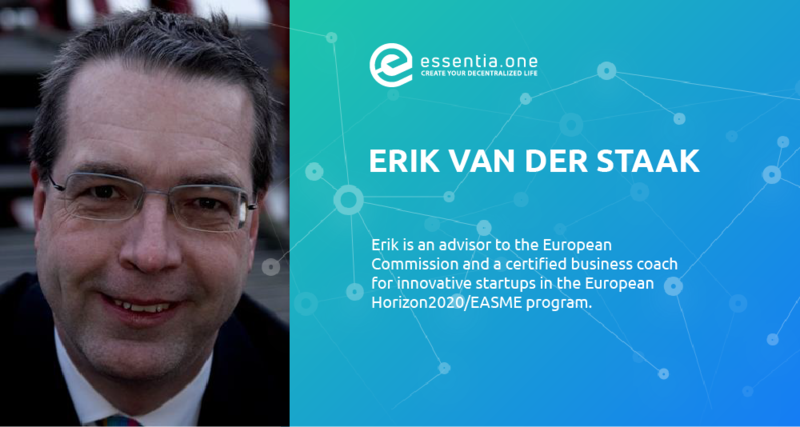 A firm believer in the digital identity solution we’re building, Erik van der Staak’s involvement is a huge boost to Essentia. Finally, we welcome Francesco Fusetti, a serial entrepreneur of some renown. Francesco successfully raised $19 million for his charity project AidCoin, which is now listed on Bitfinex, and is also CEO and co-founder of CharityStars and ScuolaZoo, Italy’s largest student community. 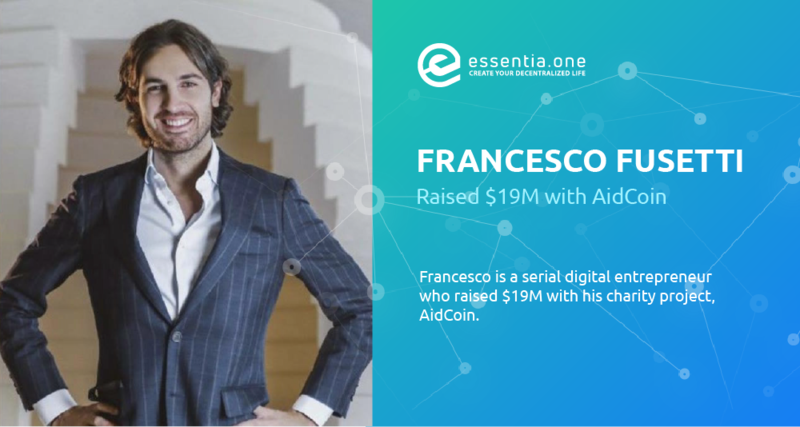 Thanks to his first-hand knowledge of crowdfunding, Francesco will be of great help to the Essentia team. We’re very fortunate and pleased to have Erik and Francesco join the Essentia Foundation. This talented tranche of advisors will stand us in good stead moving forward, and this is only the beginning. Expect further announcements of fresh talent being added to Essentia’s ranks in the coming weeks. Just a reminder, recently we have published an article about the details of ESS tokens. Further details on the presale bonuses, ICO dates and whitelisting, will be coming very soon.